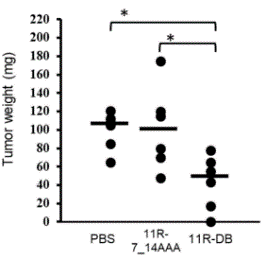 C16orf74 homodimer is a novel therapeutic target against pancreatic cancer. 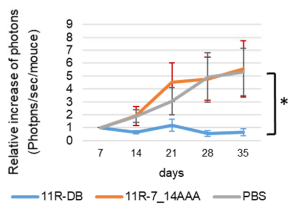 Our peptide blocking C16orf74 dimerization demonstrates significant anti-cancer effect in vivo. Middle molecular compound blocking the dimerization can be identified or designed by using C16orf74 dimer and our peptide. Pancreatic ductal adenocarcinoma (PDAC) reveals worse prognosis than any other types of malignant tumor. Although some therapies have been developed for pancreatic cancer such as FOLFIRINOX, EGFR TKI and mAbs, they have not showed enough therapeutic effect to date. We investigated expression profiles of PDACs using a genome-wide cDNA microarray with pure populations of cancer cells and have identified C16orf74 that is frequently over-expressed in pancreatic cancer specimens. (Nakamura T, et al., Oncotarget. 2017; 8:50460-50475.) The C16orf74 has been reported as Homo sapiens chromosome 16 open reading frame 74 and is located on chromosome 16q24.1. This gene was shown to be associated with TNF-alpha as well as hypoxic condition. Moreover, several reports have indicated that C16orf74 expression is a potential prognostic factor in several types of cancer. Here, we have found out that intracellular C16orf74 homodimer interacts with the protein phosphatase 3 catalytic subunit alpha (PPP3CA) and is indispensable for invasion and proliferation of PDAC cells. 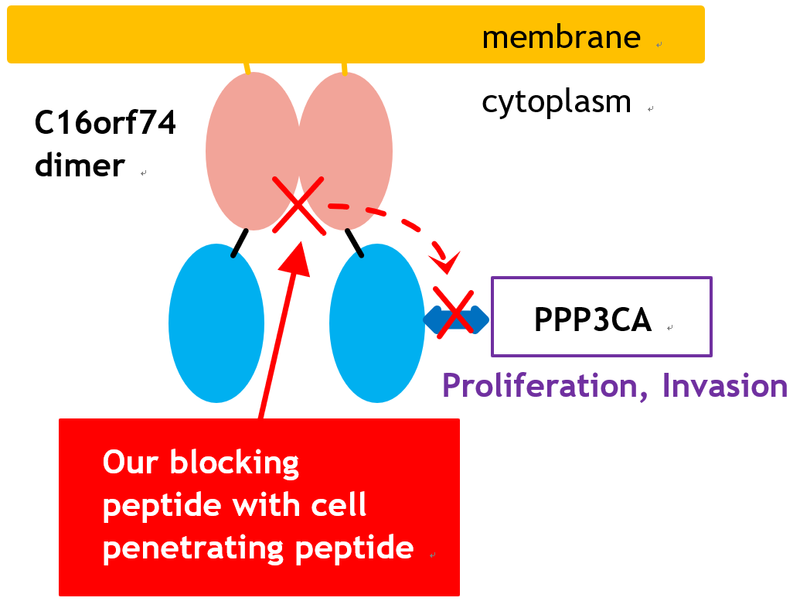 Our peptide blocking dimerization of C16orf74 and interaction between C16orf74 and PPP3A suppressed PDACs proliferation and invasion.